Realtek in June announced their new family of multi-gig, 2.5 Gbps-enabling chips, to be integrated in all manner of consumer electronics in the short run. The family of controllers are of the integrated ASIC type with self-contained firmware and self-contained, single-chip solutions. The 2.5 G push will be spread out across three chips: the RTL8125 PCIe 2.0 x1 controller for PC applications; the RTL8156 USB 3.1 controller for dongles and docking applications; and the RTL8226 transceiver for routers and switches. Of course, this isn't as big a jump as could have been done; however, remember that Realtek plays in the high-volume, low cost market, and slower adoption rates in the mainstream market are par-of-the-course. Realtek's 2.5G Ethernet controllers have now been deployed first on ASRock's new Z390 Phantom Gaming series motherboards, and are being marketed as one of the biggest selling points for the new series of motherboards. Aren't most connections in games of the order of a couple hundred kb/s at best ? Gamer focused huh. Hmm, I hope MSI gets it as well, I prefer their VRM cooling. It still means a newer controller with more optimised drivers for all the new gear, if nothing else. Maybe it will increase latency by a few points too, not that it matters really. not really just gamer focused, it does help. If faster speeds mean lower latencies for gaming, than this is a huge FTW. You are wrong. It's just higher bandwidth, not speed. It can only increase speed if You are fully utilizing 1GB ethernet. ok explain how bandwidth is different from speed here. Please. It's called progress. If everything ever made was just what people need at this moment in time, there would be no progression. Bandwidth is theoretical maximum amount of data which can be sent at once without defined any specification how data is being sent. When "speed" can be considered as for example latency(hardware/software) and defined specification how data is being sent, which include size of frames used in local network and by ISP and other aspects. There shouldn't be any difference between 100Mb/1Gb/2.5Gb and beyond unless You are going to use whole throughtput(which will buffer frames and increase latency). There are also software buffers enabled by default which increase ethernet latency(at least for some Realteks), but decrease processor utilization. This is just ridiculous, 10Gbit is the next stepp, why even bother with this half-wit tech. 10Gbit has been around for years now and is starting to get old. The move to 10Gbit is looooong over due, just get on with it already! Ah yes, this stupid question, again. The TLDR; version is: 2.5Gbit works on the same cables as 1Gbps Ethernet. It costs only slightly more to make than 1Gbps in terms of the chips. It doesn't get as hot and doesn't draw as much power as 10Gbps, so no cooling is needed. 2.5G Has its place as the other thread explained, its basically cheaper. WTF are you talking about. Intel has been making good 10Gb NICs for a good amount of years now. They are not holding anyone back. The computer industry doesn't revolve around Intel. Take your AMD fanboism and stfu. >1 Gb/s doesn't make much sense for gaming, since almost no-one have that kind of speeds from their ISP, but it does for content creators, developers etc. using network storage/backup. Yes, 10 Gb/s is mature and ready, it's just too expensive. But the cheaper vendors seem to push 2.5/5 Gb/s. Over a distance, the only thing that matters is the speed of the electronic signal, which is slightly lower than the speed of light in a vacuum. It doesn't matter if your ISP provides you a 1 Tb/s connection, it wouldn't cut latency. 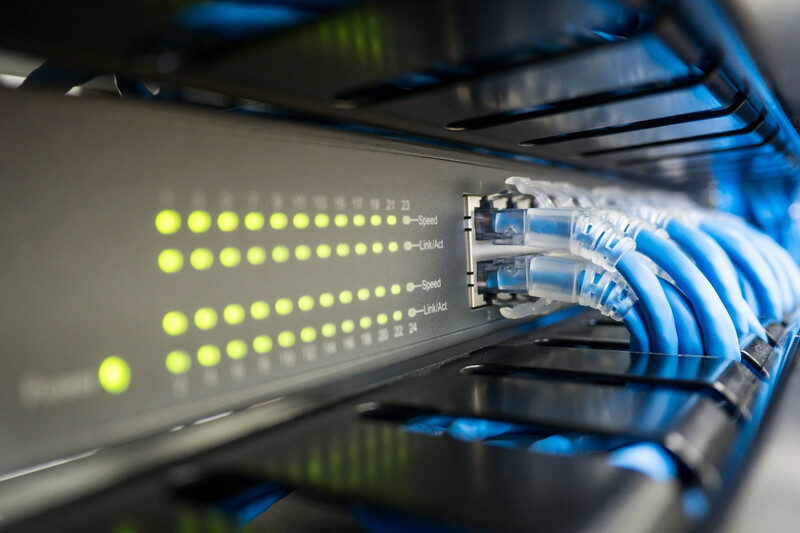 The 2.5Gb or 5Gb or even 10Gbit is something only used in Datacenters where you have direct connections, peers to the outside world. In such situations, those fast connections come in place. But for gamers? Come'on. The killer nic was blockbusted too for having zero effect. The connections of people's home are just immature to fully benefit the 2.5GB in the first place. It's just another marketing scheme on top of the RGB hype at this moment. Huh? Welcome to 2018, lots of people have 10Gbps at home. I'm connected to my NAS over 10Gbps and it makes it act like it was local drives in my PC. The bonus is that I don't need to sit and listen to the spinning rust noise. Yes, 10Gbps is still costly, hence why 2.5 and 5Gbps is happening, although at least for now, 5Gbps isn't really much cheaper than 10Gbps. With Realtek stepping into the 2.5Gbps arena means that we're going to see sub $10 costs for 2.5Gbps and as pointed out above, it runs over normal Cat 5e cables, so no need for fancy cables to make it work, unlike 10Gbps. Why wouldn't you want faster Ethernet? No-one backs up over their network? Copies files? Or is everyone really using Wi-Fi and that's it? I would go crazy if I had to put up with Wi-Fi speeds for backups. This is NOT a marketing scheme, it's a real thing and it has tangible benefits for most people. No, it's not going to improve gaming, no it doesn't require a faster internet connection. It will require faster switches/routers though, which is a downside of it, but it still works with Gigabit hardware. There are no downsides to this, only upsides. my first thought exactly as well. A super oversimplification could be compared to highway travel in a car to/from a destination. Your "speed" is your latency (ping) which is how fast your packet of info travels from your pc, to a server, and back. This would be the equivalent to how many mph/kph your car is traveling. Your bandwidth is how many lanes wide the highway is that you are traveling on. So if cars are traveling at 60 mph and you then add more lanes to the highway, more cars can now reach the destination in the same amount of time (bandwidth) however, the time it took to get to and from the destination is exactly the same (latency) because you are all traveling 60mph. For games, the info you send to/from the server is tiny (kb's/sec as Vya Domus pointed out) so by making the highway have more lanes (bandwidth) does nothing for you. What you would need is drive at a higher speed, i.e. lower latency, to allow your packet to get to/from the server in a lower amount of time. To decrease latency, yes there are some things you can do on your end to prioritize network traffic, but for the most part you are at the mercy of the ISP's infrastructure and the physical distance you are to the server. I havent seen a single switch that supports only 2.5 Gbps, all of them have 10 as standard. I really dont understand why they try to sell such BS for this market. People doesn't even have 100mbps yet but lets give them 2.5gbps isntead of quality heatsinks!!!!!!!!!!!!!!!!!!!!!!!!!!!!!!!!!!!!!!!!!! But you can run a cable directly between two machines, e.g. your workstation and your NAS. Whine, whine, whine. So none of you seem to get the fact that there are benefits to this and it has NOTHING to do with your internet speed. Also, there are plenty of switches that can do 2.5Gbps, although most of them do 5 and 10Gbps as well. More are likely to be announced, as Realtek was showing off a $30 switch IC at Computex as well, although it didn't have built in PHY's, which will make final devices $200+ most likely. There can be millions of products out there, if the infrastructure is not there to make use of those millions of products it all amounts to nothing. Just added costs for no real purpose. It's the same thing with radios inside of phones, most new phones can do over 1 Gbps. But where the hell are you supposed to get those speeds ? Let me ask you this, how many people do you know have access to 2.5Gbps networks (and no I don't mean home networks I get that )? And if this has nothing to do with internet speed, then what else is there ? The sole purpose of Ethernet >1Gb/s is LAN, period. Perhaps Realtek will claim their controller have lower hardware or driver overhead, but that will be the only benefit for gaming, and it has nothing to do with the 2.5 Gb/s speed. Right now the Intel controllers are pretty much superior when it comes to reliability and latency, except other expensive controllers of course. Cool, been watching the IEEE progress on this for years, along with Aquantia and now Realtek.